Color: Matte Color Iris Teal. A very nice color. I want to make the "Peacock" earrings Kelly Dale shows us how to make, but with larger beads as I don't like having to buy a lot of 15/0. 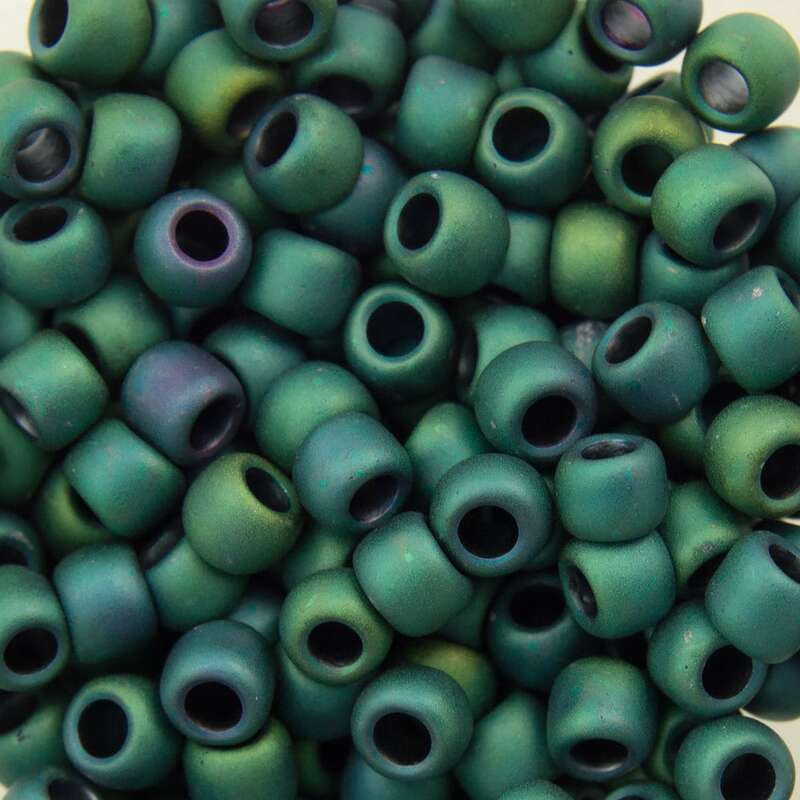 I want to put these at the mid-point of the "feathers" (made with 11/0 Transparent Frosted Teal beads) to look more like a Peacock's feathers with that "eye" at the end. These should do nicely. Item arrived in a timely manner and just as described.